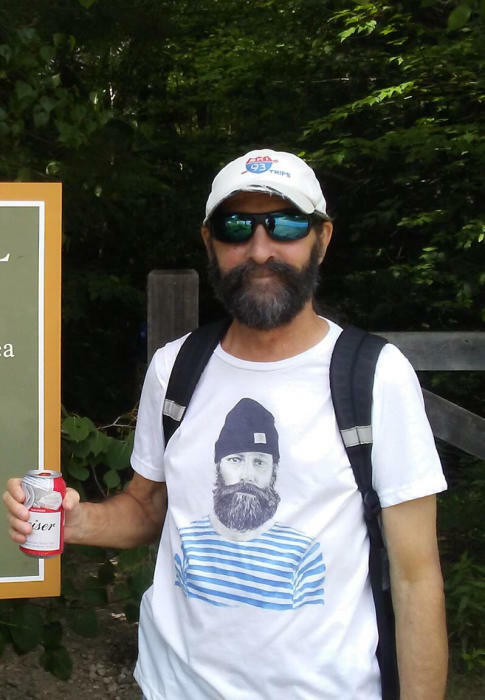 James Domenic Ferrera, aka “2”, aka Jim, 61, Lincoln, NH, died Tuesday, September18, 2018 (59 days until ski season) following a battle with lung cancer. Born in Newton, Massachusetts, on December 18, 1956. He was the son of Domenic James Ferrera and Maureen Theresa (O’Sullivan) Ferrera. Jim grew up in Falmouth, Maine and southern New Hampshire and was a graduate of a private high school in Nashua, NH. He was employed for 20 years at Gordi’s Fish & Steak House in Lincoln. Jim was an avid skier and enjoyed traveling around the United States as well. His mother Maureen Ferrera died in 2007. Survivors include his father Domenic Ferrera of St. Augustine, FL; a brother Charles Ferrera, of Huntsville, AL and a sister Dawn-Joyce Daigneau and her husband Donald of Laconia, NH and two nieces Meghan Daigneau of Laconia, NH and Kayla Kallinich of Boston, MA. A celebration of Jim’s life was celebrated at Gordi’s on Monday, September 24, 2018. The family would like to thank Gordi, Karen, Bob, the restaurant staff and the nearly 200 guests who attended. It was truly and outpouring and testament to how many lives “2” touched.